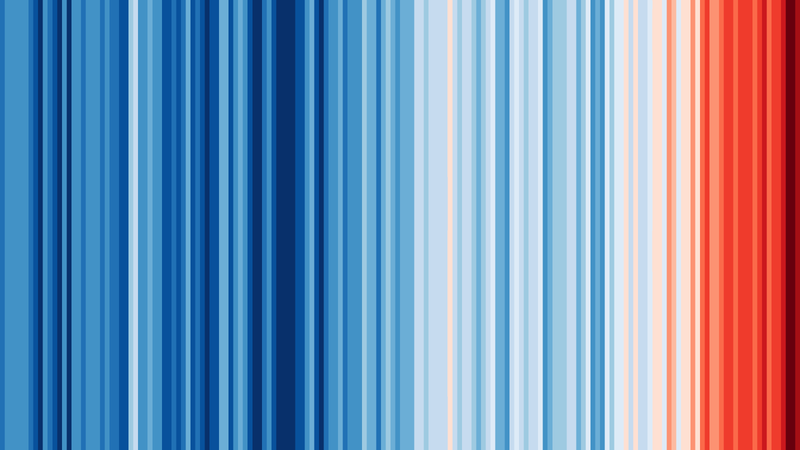 Our warming world in stripe form. Ed Hawkins, the climate scientist who made the viral temperature spirals, is back at it again with another striking view of our warming planet. His latest visualization strips out all unnecessary information save color to communicate how we’re changing the temperature of the Earth.